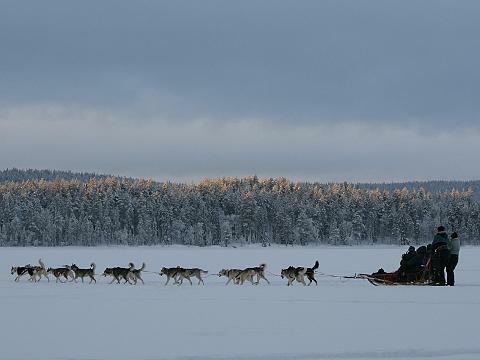 Our most popular short dog sled trip! 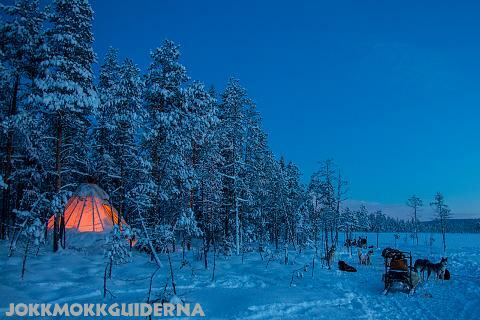 Experience the beautiful nature as a passenger on a dogsled behind a team of strong huskies and enjoy the talks around the crackling fire. 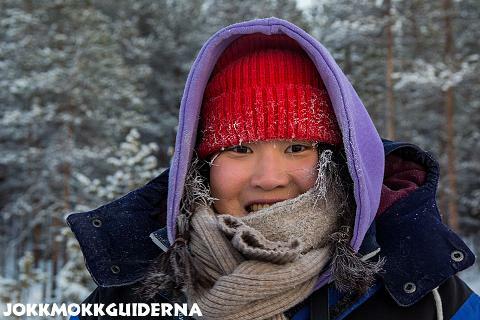 We travel over ice-covered lakes, frozen mires and through snow-covered forests, and we tell you about the landscape we travel through. 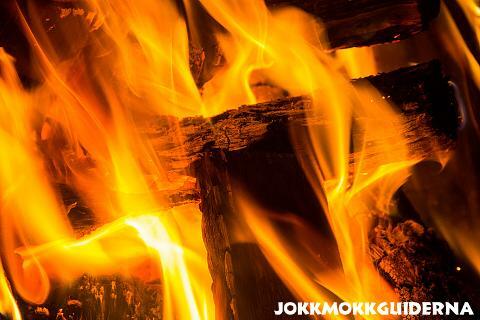 What is hiding in the deep forests around Jokkmokk? Many are the wild animals that move here. 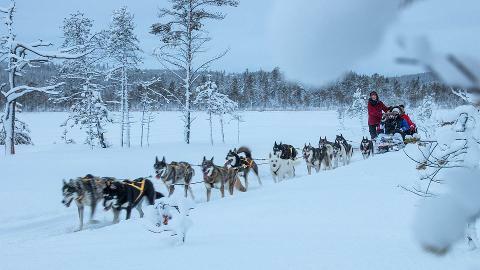 We show you the winding tracks across the white snow and with dog sled we travel relatively quiet so sometimes we are lucky enough to see any of the animals. 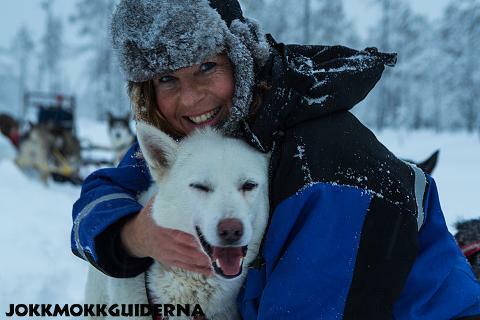 The tour starts at Jokkmokkguiderna´s kennel in Skabram 3 km west from Jokkmokk. 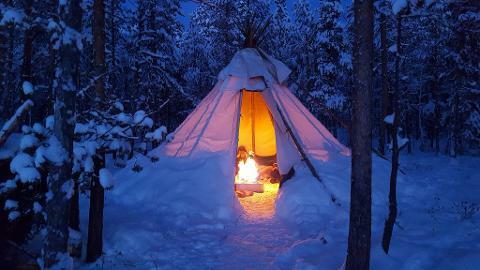 If you can´t get here on your own then we can pick you up in Jokkmokk center. The transfer is free of charge but must be booked in advance. You will sit as a passenger on the sled while we are steering the sled. 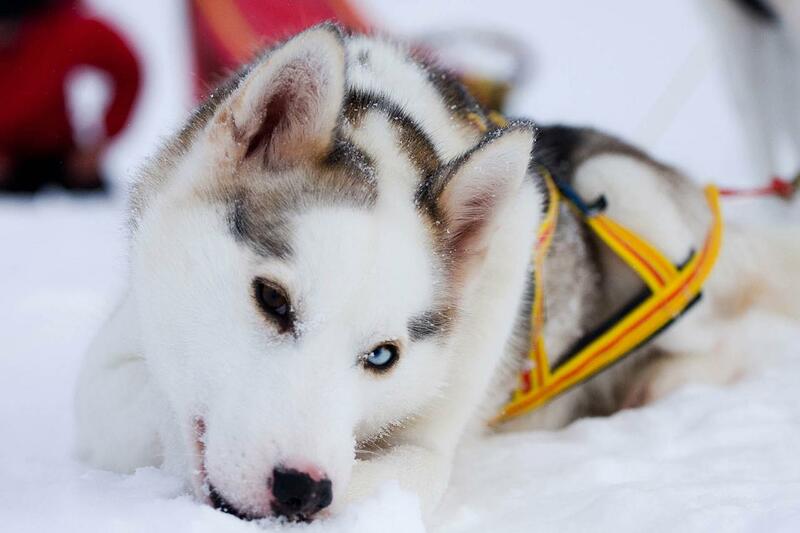 On the sled , it’s a kind of bench you’re sitting across. You must therefore be able to sit wide apart with your legs and be able to bend your legs 90 degrees. 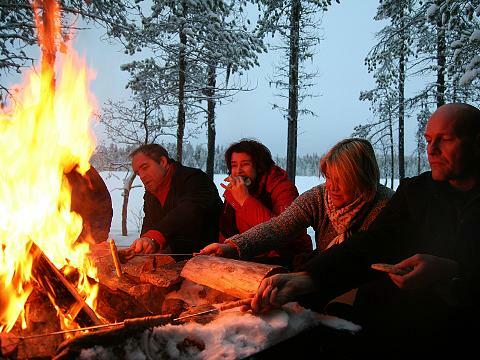 Up to 4 persons can sit on a sled and you must sit very close to each other. If you are unsure if you are able to take part don’t hesitate to send us an email and tell us about yourself and your worries.